March 24, 2016 25 Comments This post may contain affiliate links. Recently I realized my beloved desk chair was causing me so much neck pain because it was too low… there had to be a better way. 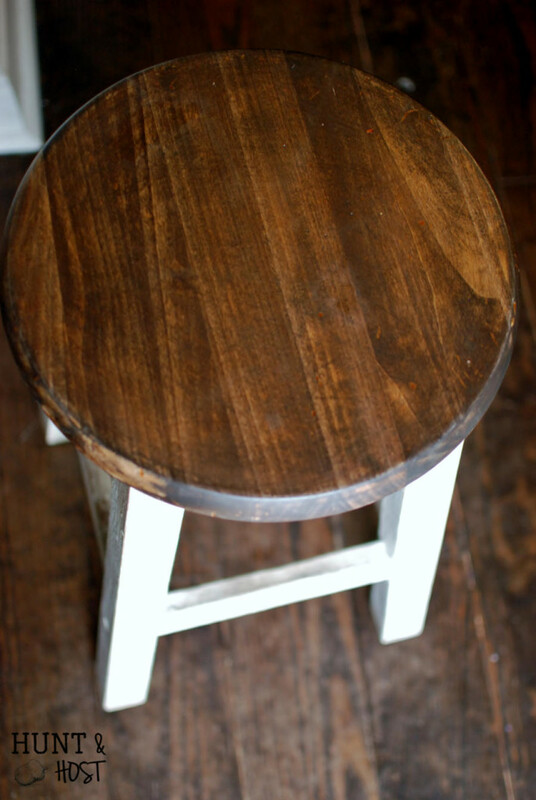 So I set my sights on adding farmhouse patina to a drab little stool. This little stool sat pushed in the corner. It went un-noticed for years. I never could bring myself to use it or throw it away. And what do you know!? He fits perfectly under my desk cabinet and is tall enough for me to cancel massage therapy! BUT…this ugly brown mess wasn’t sitting in my kitchen. A makeover was mandatory. 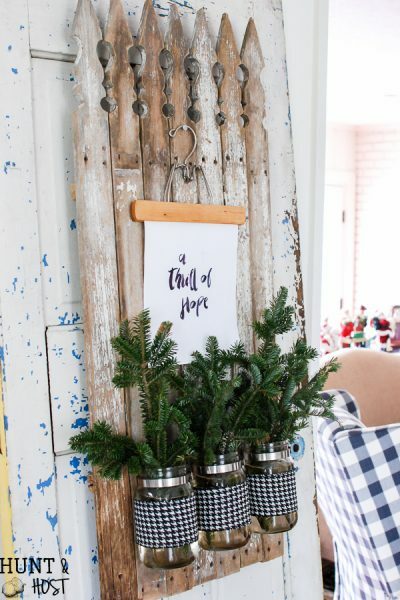 Turns out this month’s DIY Furniture Girls challenge theme is FARMHOUSE. 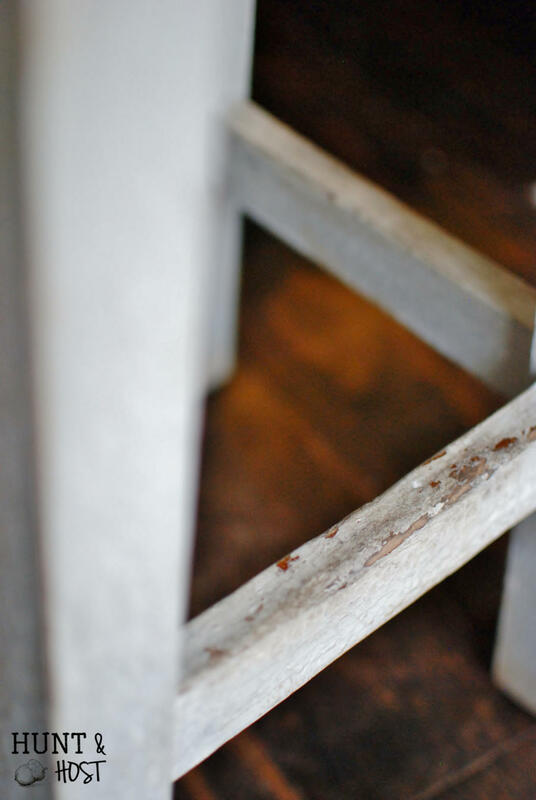 Seeing how I’ve been on a Magnolia Market farmhouse spell all things worked together for the good of this poor stool. I decided to change it up by adding farmhouse patina! I started by sanding all the finish and color of the seat area until I got back to raw wood. On the legs I simply buffed out a few rough spots. I re-stained the seat in a dark rich ebony stain from Minwax. Using my favorite homemade chalk paint I painted the legs in Pearly White by Sherwin Williams. 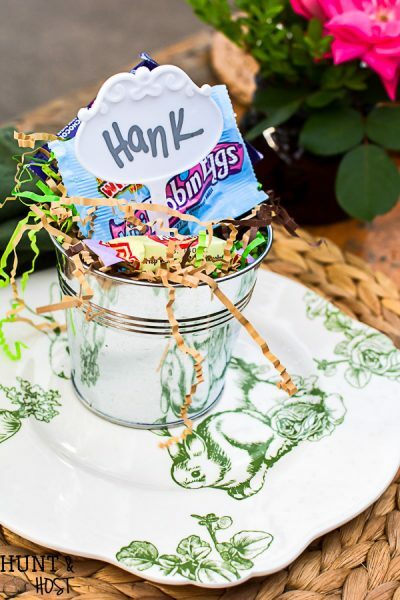 To get a straight out grandpa’s barn feel I used Amy Howard At Home’s Cracked Patina (affiliate link) . She recommends using this product with her line of paint and I am sure the finish is fabulous, but this was my first time to play with this product so I just tried what I knew. I followed the directions on the bottle to get an aged, cracked, layered effect to the paint. This product really does give a more authentic patina than most “crackle” paints do. I would like to try it again on a dresser or larger piece. Amy has a wonderful product line with some tried and true products…she was furniture flippin’ when furniture flippin’ wasn’t cool. 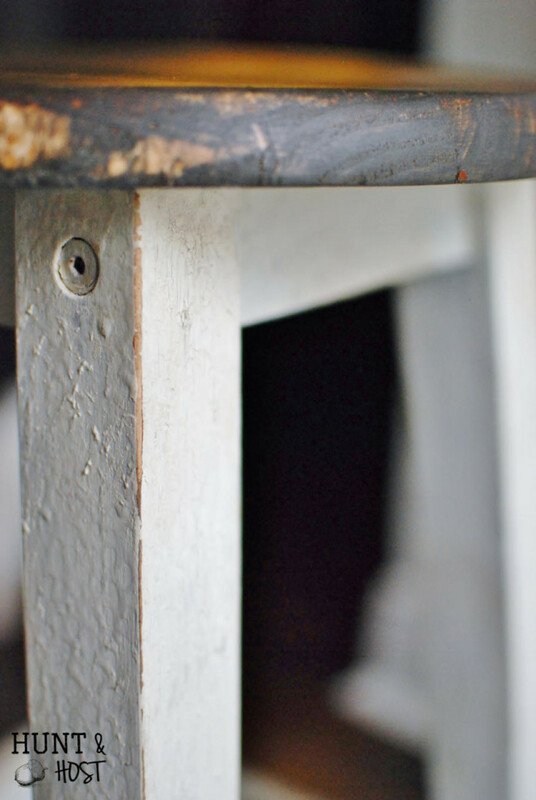 I added a few scuffs and touches of dark wax to add to the depth and faux history of this barn stool. 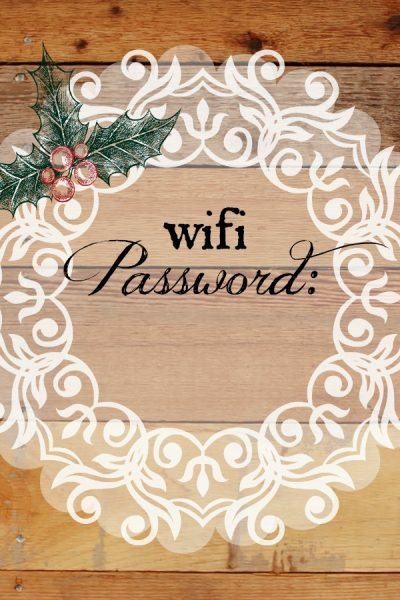 Are you hungry for some other great ways to add farmhouse style to your home? Here is a whole slew I hope you’ll check out! Don’t forget to share what you love! 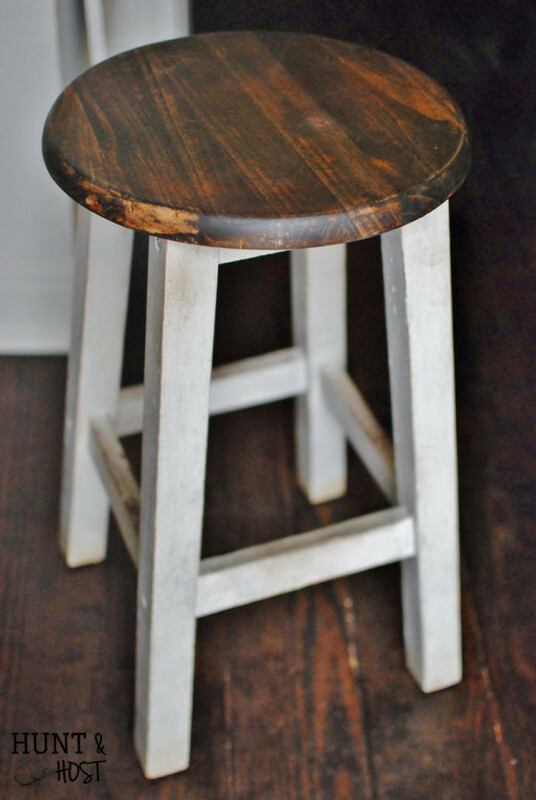 This little stool has a perfect farmhouse look now. I really like the combination of the stained top and painted legs. Thanks Paula – I love a paint/stain combo myself! 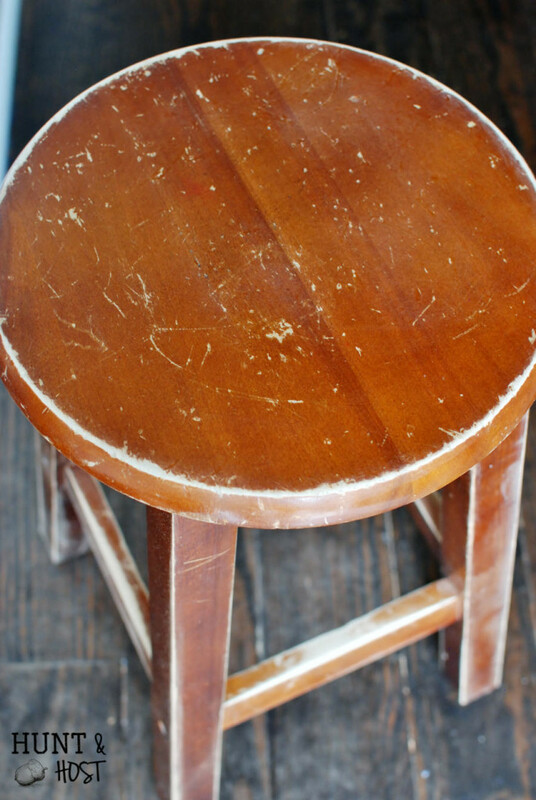 Now this sad little neglected stool has some character! I hear you re:neck pain from ill fitting chairs at the computer – ouch my aching neck and shoulders. right? The wrong height chair can cause havoc for sure! Function and the determination to make this little barn stool perfect for your home is brilliant. yes…my back is thanking me and I am lovin the style! Thanks – it is a great size project to try something new on! I’m so glad to see cracked paint techniques. I so enjoyed trying them years ago and wondering if the paint would crack or not. I’ll have to try Amy Howard’s. 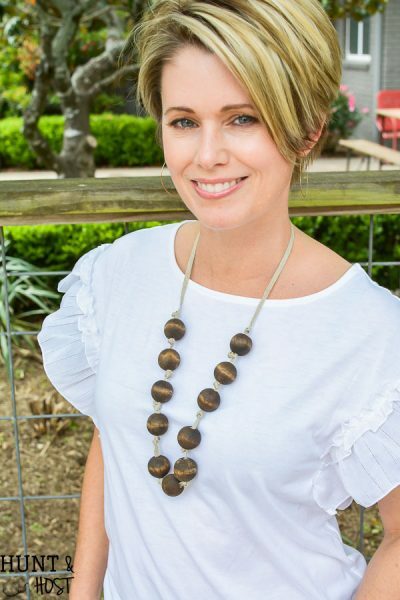 I’m a fan of her products…you will enjoy them! 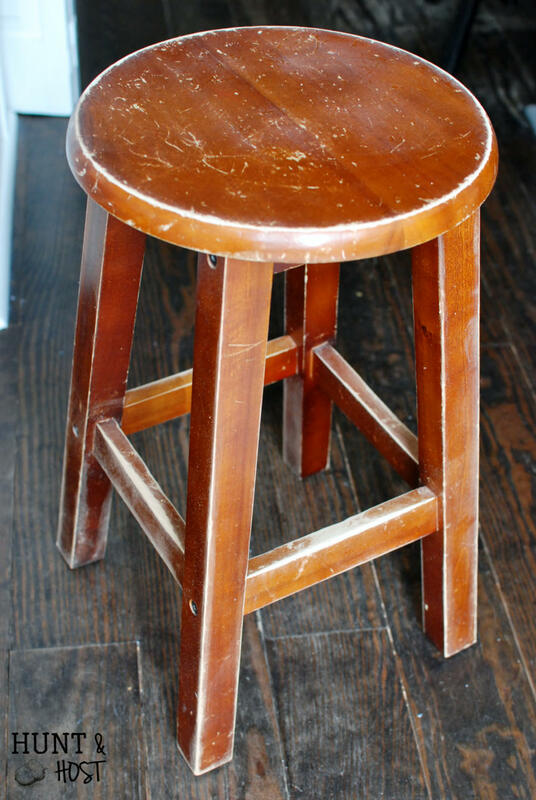 Love this little stool. It looks so original farmhouse. You did such a great job with the technique. I will need to refer back to this post. Your poor little stool looks fantastic now! I really like the colors you chose and the stained top looks great with the painted legs. Farmhouse perfection :). thank Christy. It works better in a bunch of ways! you would really like her products! Looks fantastic. I really like the colors you chose. Perfect candidate for a farmhouse makeover. Thank you! I love a rich wood stain! Oh my goodness, I never would have guessed that that punched tin wasn’t the real thing. This has a perfect farmhouse look and I’ll bet that it will sell quickly. Didn’t she do a wonderful job!? She always does! 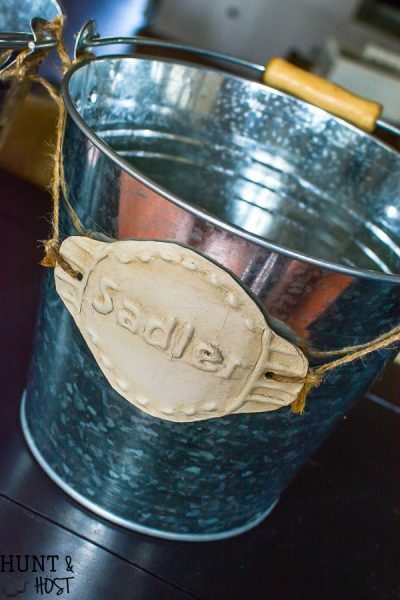 Your stool turned out beautifully and oh so farmhouse look. Thank you for sharing at Vintage Charm. I have missed you.